When you are diagnosed with ALS, getting involved in public policy initiatives may feel like a distant thought. For some time you and your family may be focused on survival, on understanding ALS and adjusting your lives to this new challenge you are being faced with. However, policy directly impacts your experience, and as a person diagnosed with ALS, caregiver or family member it is your voice that matters most in making change happen at the local, state and federal levels for yourself, and other families facing ALS. 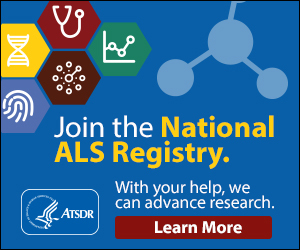 Policy initiatives focus on funding and supporting research to discover new treatments for ALS, removing barriers that may be slowing down the process of finding a cure, and ensuring patient access to important medical benefits, such as speech generating devices, in a timely manner. Most importantly, speaking out about ALS can raise awareness and inspire lawmakers to take action to help patients with ALS and their families. Reaching out to lawmakers can provide an important opportunity to share your story, make a difference in your own life, and in the lives of those who will be affected by ALS in the future. There are many ways to fight ALS by taking policy action. The ALS Association is deeply involved in current policy initiatives, and provide a number of resources and ideas for getting involved, including their annual National Advocacy Day and Public Policy Conference in Washington D.C.
Just joining the ALSA advocacy mailing list or writing a letter to your elected official in Congress, telling your story and urging them to take action, makes a difference in joining current advocacy efforts. YOUR voice is needed to take action to fight ALS. Visit www.alsa.org/advocacy to learn more about ways to get involved in policy initiatives.